The Itty Bitty Kitty Committee: A Little More Auction Action! A Little More Auction Action! 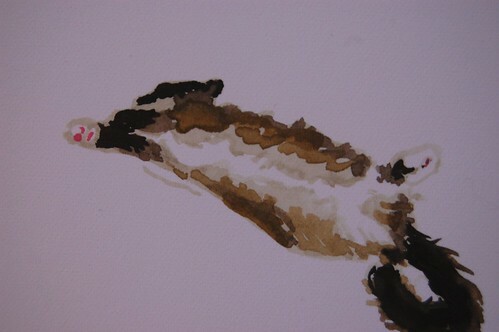 Craig, my dear, sweet, talented, husband was kind enough to paint and donate a couple of amazing little watercolor paintings of Ms Bean to be auctioned off for our fundraiser. They are as sweet as can be, and so fabulous. It sort of kills me that we can't keep them. If you would like to find out more about these paintings and place a bid on either (or both!!) pieces click HERE and HERE. The auctions ends in three days. 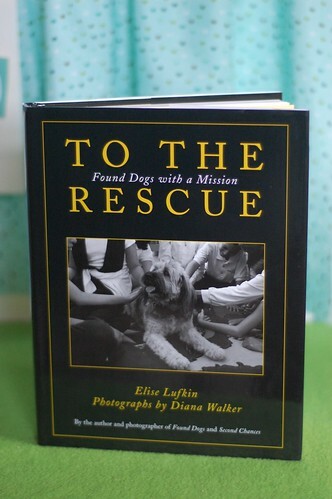 We're also auctioning off an AUTOGRAPHED copy of this awesome book, To the Rescue - Found Dogs with a Mission by Elsie Lufkin. To find out more about this book and place a bid, please click HERE. Oh how awesomely beautiful! Miss Charlene sure has very talented parents. I'd be happy to donate a pawtographed copy of my book for you to auction off if you're interested. 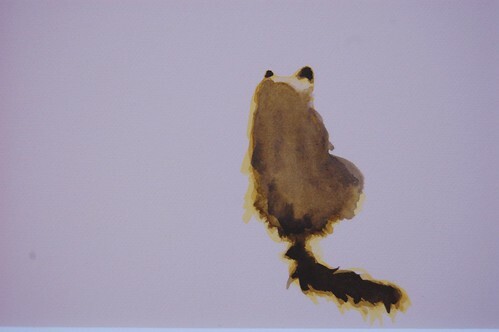 Craig ~ Your watercolors are so elegant and beautiful. It's no wonder Laurie would rather not part with these. You have an amazing talent. I'm almost speechless, these are such generous donations. Watercolour is brilliant for Ms Butterbean's floof. Some serious talent going on there. Incredible art of Charlene's floofiliciousness! Such creativity and tons of ever-changing, purring inspiration at your fingertips! OMG, the pink paw pads are slaying me! Craig - your work is awesome! Wow, Craig, you've managed to capture the Butterbean we so admire and yet at the same time capture the essence of all things cat....that joy of the sprawl and the pondering of an interesting whatever we so love in our own beloved pets.